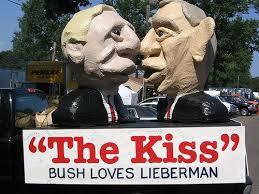 Joe Lieberman was the quintessential Fox News Democrat in the 1990s and 2000s. He was absurdly self-righteous during the Clinton impeachment, he railed against hip-hop music (how silly does that look in retrospect? ), he convinced Gore to give up in 2000, he was an avid Iraq War supporter, he betrayed the will of the Democratic electorate in 2006, and was responsible for derailing the public option in 2010. And then, he goes to work for a law firm that represents Trump, which, aside from the fact that no Democrat will support him anymore, disqualifies him from becoming the FBI director. Kasowitz, a founding partner of the corporate law mega-firm Kasowitz, Benson and Torres LLP, is no stranger to high-profile, controversial cases. He represented the tobacco company Liggett in years of legal wrangling with 22 state attorneys general that culminated in the company admitting for the first time that cigarettes are addictive, are marketed to minors, and increase the risk of cancer, and paying a settlement of hundreds of millions of dollars over multiple decades. Recently, Kasowitz defended ousted Fox News anchor Bill O’Reilly against multiple claims of sexual harassment. At one point, someone on his legal team in that case accidentally forwarded emails to a Politico reporter detailing their strategy to portray the accusations as part of a left-wing conspiracy against O’Reilly. Over his years of service to Trump, Kasowitz has been repeatedly deployed to attack, threaten, and sue reporters and news media outlets. In 2006, Kasowitz sued New York Times’ Timothy O’Brien for libel, demanding $5 billion in damages over O’Brien’s book TrumpNation: The Art of Being the Donald, which he said significantly underestimated the mogul’s net worth. “I did it to make his life miserable, which I’m happy about,” Trump later bragged. Kasowitz employed some unorthodox and intimidating tactics in the case, including showing up at one of O’Brien’s book readings, O’Brien has recounted. The Trump team allegedly recorded the reading and what O’Brien described as “obvious plants” in the audience attempt to goad him into saying something incriminating. Not only was the case thrown out, because Kasowitz failed to prove O’Brien acted with malice, but Trump was forced to turn over scores of tax returns and other financial documents and undergo lengthy and revealing depositions in the process. Kasowitz has also gone after New York Post investigative reporter Roddy Boyd, who has reported on many of the firm’s cases. Boyd told the Washington Post that Kasowitz personally threatened him with a lawsuit and unsuccessfully tried to subpoena his hard drive and reporting notes. Wolfram & Hart got a new name?